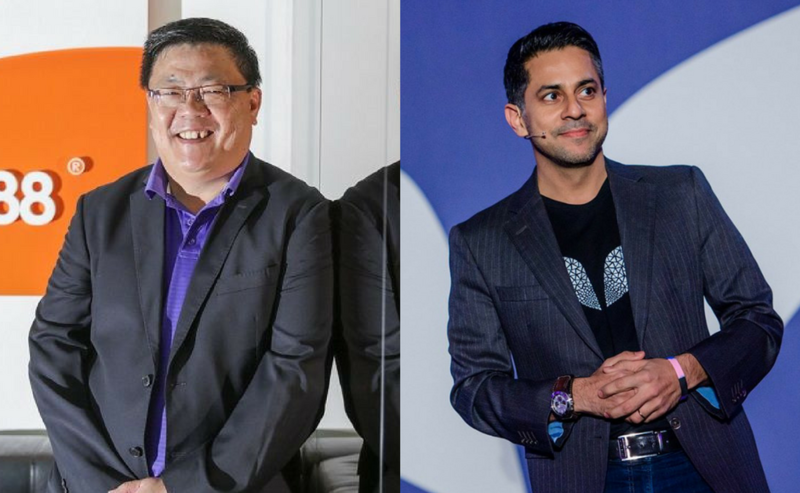 We spoke to four experienced CEOs on what their response would be to a series of extreme hypothetical situations concerning their business. The topics discussed included public slander, embezzling money, and trouble with investors. Most agreed that when dealing with employees, communication is key. A brand’s image, vision and values are all part of the chief executive officer’s responsibilities. It takes experience, wits and a wide-ranging skill set, to be able to call yourself a CEO who is capable of making the right decisions to grow your company. Initiatives like MDEC’s Global Acceleration and Innovation Network (GAIN) programme cater to CEOs of Malaysian or Malaysia-based technology scale-up companies who want to elevate their companies to tap the global market. One aspect of being a good CEO is to be able to make the right decisions for your company when things go south. We talked to four CEOs to see how they would respond to a series of extreme hypothetical situations that would test their qualities as leaders. Here’s what they had to say. Situation 1: There is an employee strike and everyone’s asking for a 30% pay raise. In this scenario, all four CEOs agreed that the best response here is communication. 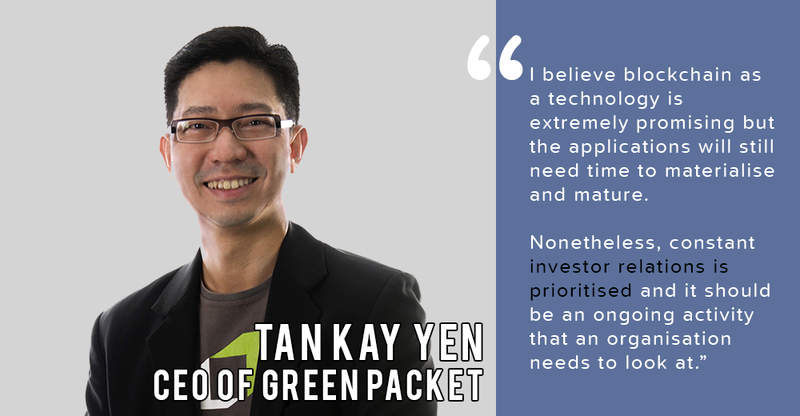 Kay Tan, CEO of Green Packet, said he’d start by listening to their dissatisfaction and then conducting a proper review to find out the underlying issues and solutions. “We will also get the more influential employees to set an example and to spread good vibes among the staff, telling that the company is now conducting a proper review. There’s no point creating a business loss that could be a lose-lose situation between the company and employees in a long run,” he added. 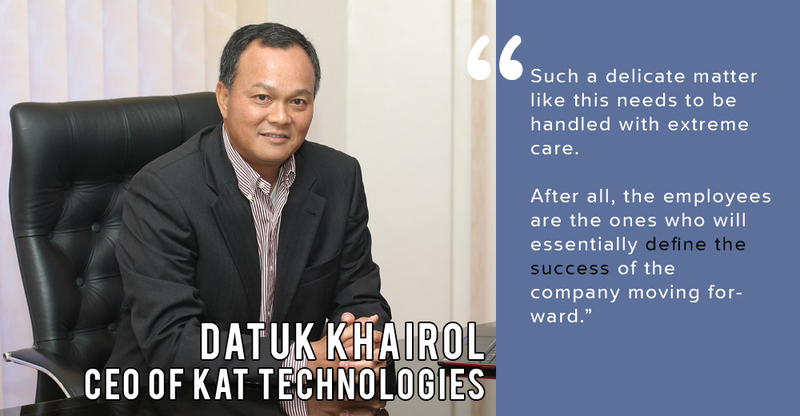 Datuk Khairol Anuar Mohamad Tawi, CEO of KAT Technologies agreed. After meeting with his HR team and fellow executives for their input, he said he would then approach the employees and listen to their requests to establish a personal rapport with them. Afterwards, he’d give a timeframe for the company to come back with an answer to their demands. “Having said that, the strategy here is to be very careful not to set a precedent whereby the employees find it easy to demand a pay hike,” said Datuk Khairol. Situation 2: Your largest investor is thinking of pulling out to join a competitor. No entrepreneur wants to hear this but in the competitive world of business, it’s best to remain prepared. 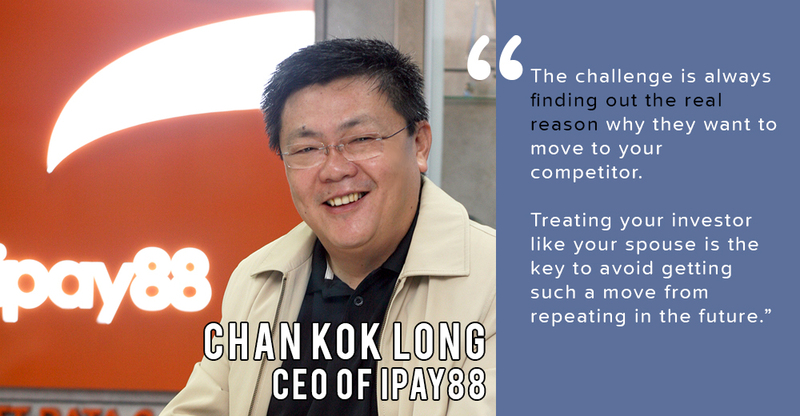 Chan Kok Long, CEO of iPay88 said he would immediately try to convince them to stay as he believes that having your largest investor leave would result in a negative impact to the company and to market perceptions. “Investors are always looking at the returns. I’d try to convince them about our business strategy and model so we can assure them of a higher return as compared to if they were to move to our competitors,” explained Chan. Vishen Lakhiani, CEO of Mindvalley, would do the same, he would try to understand the reason behind his investor considering such a move. “It’s a painful situation but I’d see it as an opportunity for growth. I would see this as a lesson to perhaps refine my product, pivot in the market, or maybe end my company and move on to something that I’m better suited to bring to the world, assuming that the competitor could attract my investor with a better product. Overall, I’d be okay with it,” concluded Vishen. Situation 3: You found out that your co-founder/business partner has been embezzling money. A serious crime that Vishen actually experienced himself, even though it wasn’t with a co-founder but with a senior executive. The first thing he did was to contact the police to launch an investigation. “But what I did next was more important. I spent hours in meditation to forgive them. Forgiveness doesn’t mean pardoning. There’s still a court case pending against him and he’s not someone I’d trust but forgiving him lifts a burden off my shoulders,” said Vishen. Kay Tan would take the same course of action and shares that in Green Packet, there are very clear limits of authority, separation of duties for checks and balances to avoid such incidents. Chan would go out of his way to seek the reason behind his partner doing so and see if there was a solution to settle the matter amicably. “A partnership is like a marriage. There has to be a commitment in writing that such things will never happen again and if it does, then the consequences will be very severe, including selling his or her stake in the company or other financial penalties. Management reportings and internal auditing could prevent this from happening,” added Chan. Situation 4: A public figure makes allegations about your company (i.e “the CEO is a sexual harasser, your products are poisoning people, you stole your product ideas from someone else) and public sentiment is 100% on their side. People are calling for you to be arrested, for your company to shut down and they’re protesting outside your office. With social media, the CEOs agree that this was becoming a more common scenario. Kay Tan would ensure all his stakeholders stay informed in order to allay the allegations and conduct investigations. “If the issue is directed to an individual, then we’ll make sure external communications using the available media on that image is countered. The CEO would also take a temporary leave of absence while investigation takes place to show our commitment,” said Kay Tan. 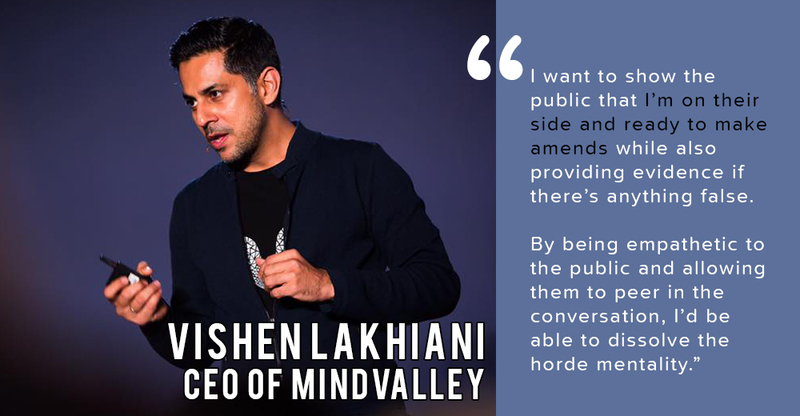 As for Vishen, he’d invite the person to have an open conversation that would be publicly live-streamed onto Facebook and YouTube so the public could see their discussion as it went on. If what is said is true, he’d be happy to make amends and do whatever the public feels is justice. Situation 5: One of the big three companies from China comes to Malaysia and is aggressively duplicating your business model as well as offering your service/product for a cheaper price (or free!). The tech giants of China are known to either invest in, copy or completely shut down their smaller rivals, at times duplicating business models or products and then offering it at a much lower price (or free), along with their own services. What could our local businesses do in this scenario? To solve this, Datuk Khairol would invite them to be a part of the ecosystem rather than to compete directly to enjoy a mutually beneficial relationship. “The difficult part in this matter is getting a fair deal of the business arrangement. We might have to swallow our pride as it might not be in our favour. If we compete directly with them, the risks are always there in terms of losing market share, profitability, and might even lose the game entirely,” said Datuk Khairol. Chan believes that having local knowledge of the industry and an existing customer base is the edge needed to compete with foreign competitors. So he places high importance in localising your company’s product and services as much as possible. “A company can never prevent competitors from coming to your market space. We must continue to lead in the area of technology enhancement and market leadership through value creations and such,” added Chan. Vishen concurs with this, using his company as an example as he believes it has elements which are ridiculously hard to duplicate. “What I mean is our brand affinity and what we stand for. You cannot duplicate a stand. Evidently, like when I challenged Nestle about their food labelling practices. Since the video got millions of views, Nestle in Australia took action. It’s these little things that makes our company different,” said Vishen. Situation 6: Your biggest investor demands that you transition all of your transactions into bitcoin or they will pull out immediately. Kay Tan said a thorough discussion is needed with the investor. Since Green Packet handles both B2B and B2C where transactions still need to be based on fiat currency, they’re not ready for 100% cryptocurrency adoption and definitely not into one single form of digital currency like bitcoin. “While blockchain has enabled multiple possibilities on its use and cryptocurrency being one of them, the existing financial systems and currency is more mature,” said Kay Tan. Datuk Khairol would question his investor on why they would want so. He’d then see if there’s a recourse if the particular chosen bitcoin currency fails. “If the recourse is acceptable, I wouldn’t mind complying. However, if there is none, it is likely that we shall have to part ways. I am not a huge fan of bitcoin so therefore the decision. Of course, if we have to part ways, the challenge is to find another investor to make up for it so as to not stall the company’s plans,” said Datuk Khairol. Since iPay88 mainly dabbles in finance, Chan says that anything that isn’t legalised nor accepted by Bank Negara Malaysia as far as financial services is concerned will not be accepted by his company. “Financial services come with a lot of consequences and impacts if we don’t follow the rules and regulations. The business will fall overnight if there is a violation of any law such as the Financial Service Act 2013 and also the Anti-money Laundering Act,” explained Chan. How would you react to these scenarios should you face them as a CEO? Let us know in the comments below! This is the second part of our collaboration with MDEC GAIN. Our next piece in this series will delve into the important traits scaleup entrepreneurs look out for when hiring. Stay tuned!